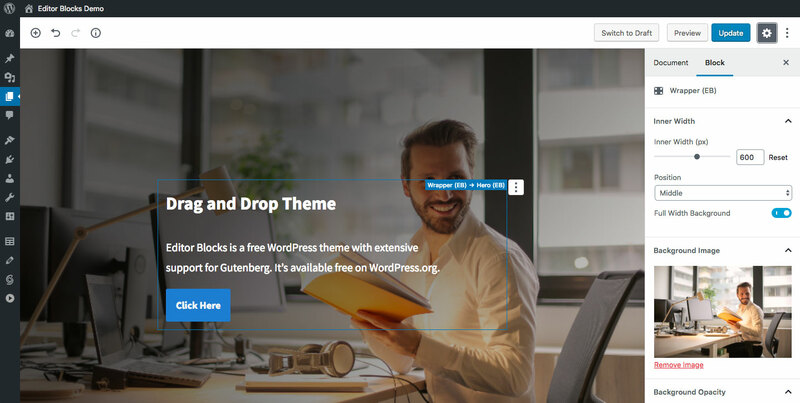 Editor Blocks is a WordPress plugin that add 10 unique blocks to the Gutenberg editor. It’s available free on the WordPress.org plugin directory. Editor Blocks will work with all themes. However, the full-width background colors and images will only work with themes that have added support for Gutenberg’s alignwide and alignfull features. Going forward my plan is to optimize the current blocks and build more, if there are any blocks or features you’d like to see please make a suggestion.